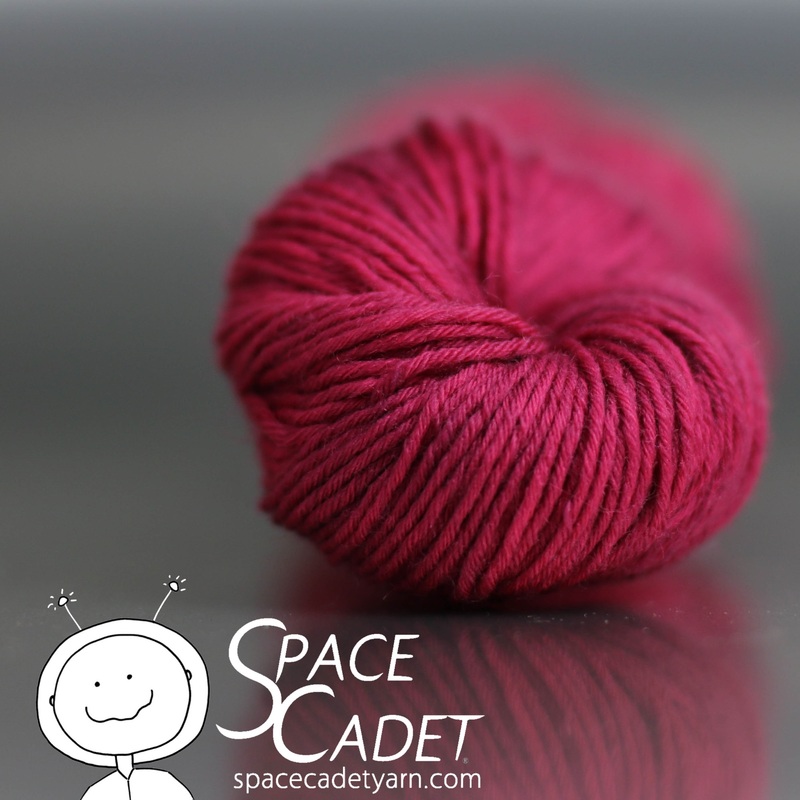 At SpaceCadet yarn, we passionately believe that knitting and crocheting make people happier, deep down inside, and that nothing does that more than working with gorgeous, vibrant yarn. 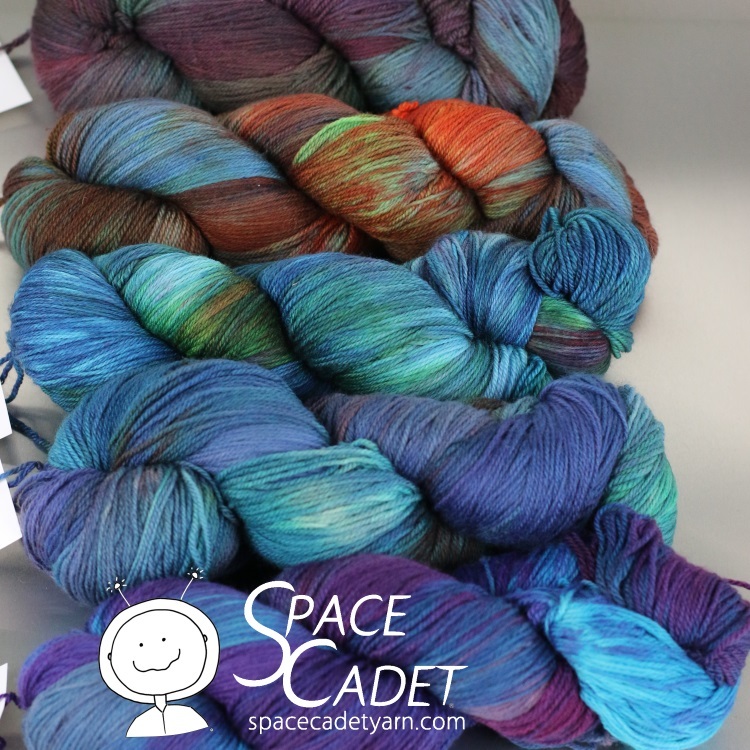 For us, dyeing is a cosmic adventure. We start with high quality yarns and luxurious fibers — merino wool, silk, linen, and bamboo — to begin the wonderful process of mixing our dyes by hand and seeing where the colour takes them . 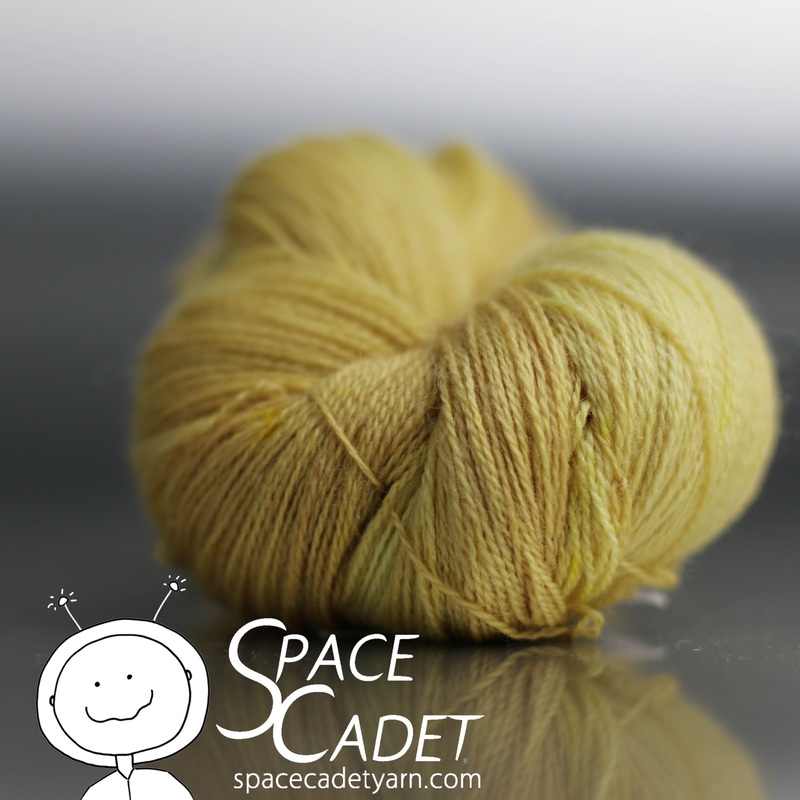 The result is yarn and fiber that is as exciting to work with as it is for us to create. In the last year, we’ve really taken that adventure to a new level, moving into a dedicated studio and using that opportunity to explore exciting new dyeing techniques. 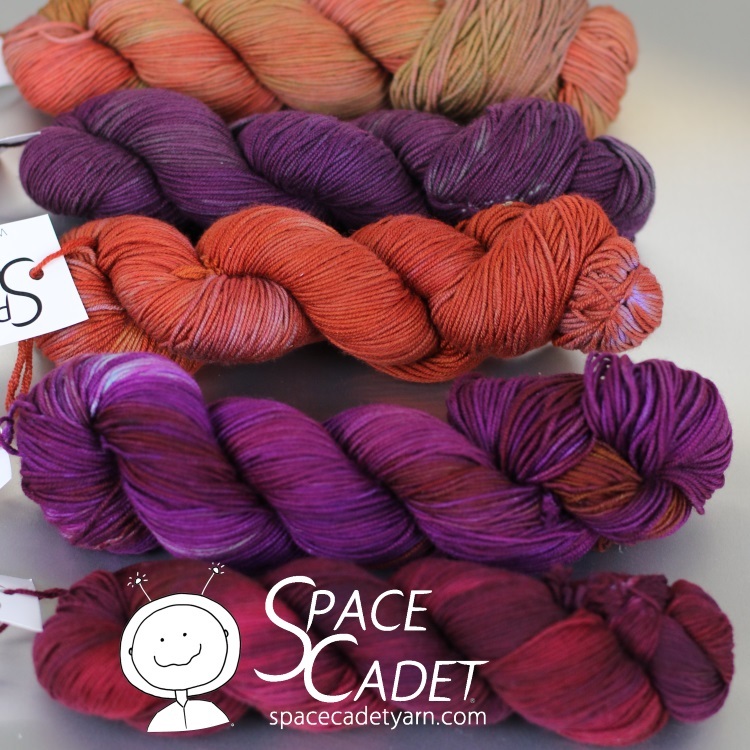 And with exploration comes a lot of experimentation… and the result is stunning one-of-a-kind colourways that we may never be able to repeat but that are too gorgeous to pass up — and that is what we’re bringing to Indie Knit & Spin! Once they’re gone, they’re gone, so come to our booth early to get the best pickings!